The PSE Composite Index, commonly known previously as the PHISIX and presently as the PSEi, is the main stock market index of the Philippine Stock Exchange. 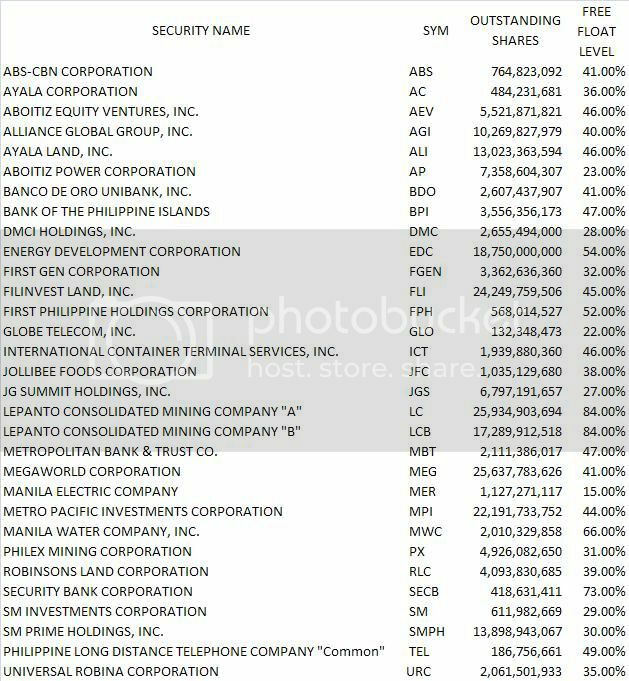 The PSEi is the most watched index on the PSE and is also home to most major Philippine companies listed on the PSE. The PSEi is also the PSE's only broad-base index. It is also one of the indicators on the general state of the Philippine economy. The PSEi was one of the indices kept intact during the reclassification of the PSE's indices on January 2, 2006. Other similarly-kept indices included the PSE All Shares Index and the PSE Property Index. oo nga boss hirap din ako magbasa wave..basic lang alam ko. malapit na ata technical bounce P6. Europe green and Dow green na rin atm. pwede pong d na tapusin ang wave e. wave e can undershoot or overshoot the a-c line (throw-over ata tawag). nakakatakot lang sa triangle it can go either way. (06-07-2011, 11:34 PM)neshem Wrote: pwede pong d na tapusin ang wave e. wave e can undershoot or overshoot the a-c line (throw-over ata tawag). nakakatakot lang sa triangle it can go either way. 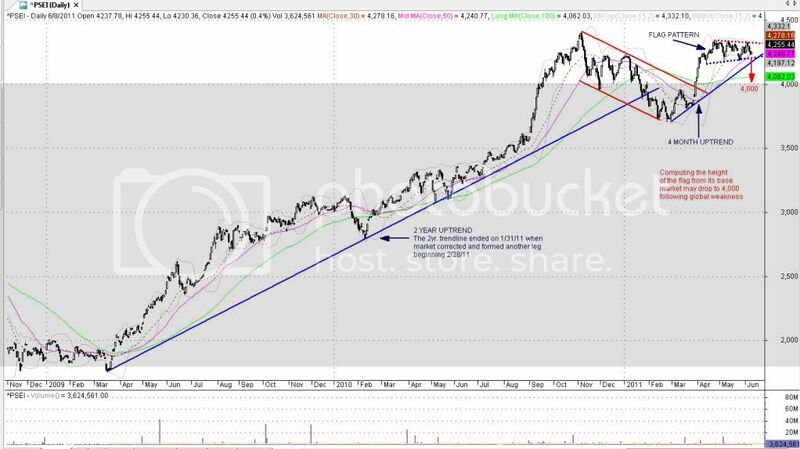 i am not sure about throw over , pero segment e sya ready for breakout or breakdown,yari tayo pag breakdown magiging wave 5 failure so we are looking at 3900 for the p6, pero alam ko me isang tao dyan masaya kada humuhulas ang p6 kasi tumitikada ang mga bazooras nya di ba master B?